Pat Sillars - Co-Director, Colorado Emergency Preparedness Partnership, Inc.
Geologic Hazards in Colorado: How Can We Recognize Them and Reduce Their Effects? So, visit http://coemcon.blogspot.com/ and click on the presentation title to start the video! Many Coloradoans spend time in Hawaii and we hope this page provides relevant contacts and connection information. One of the cool things we are doing is taking video of many of the presentations over the three day event. We are uploading those over the weekend, working to break them up and will be posting them on the COEM Site (http://coemcon.blogspot.com/). So, if you are interested, stop on by and see what is going on! Today is our state sessions day and we are having a series of emergency management partner presentations.. available slides are already posted, as are the previous day's presentations!!! Position Summary - The Homeland Security Coordinator is responsible for general administration of the Homeland Security Grants for the Southwest Region of Colorado and reports directly to the Southwest All-Hazards Advisory Council (SWAHAC) and the Southern Ute Indian Tribe's Risk and Emergency Manager. The Southern Ute Indian Tribe currently serves as the fiscal Agent for Southwest Regional Homeland Security Grants. This position is grant funded and continued employement is contingent upon renewed grant funding. Because of the Federal Information Processing Standard (FIPS) 201, M-05-24, and other White House guidance that requires all Federal computer systems to require secure forms of identification based on smart card technology and identity-proofing procedures and the likelihood that on large events, both State and Federal responders need to work together, State and Federal emergency managers are collaborating to solve challenges associated with identification of emergency responders. In Colorado, this effort is led by Bill Miederhoff of the Colorado Division of Fire Safety, who has recently assumed Colorado's representative seat on the newly-formed PIV-I/FRAC Technology Transition Working Group. PIV-I stands for "Personal Identify Verification - Interoperable and FRAC stands for the First Responder Authentication Credential. The working group is operating under the Command, Control and Interoperability Division of the U.S. Department of Homeland Security (DHS), the Federal Emergency Management Agency's Office of the National Capitol Region Coordination and DHS's Office of Security. According to the Working Group's factsheet, the purposes of the group include looking at best practices and working examples of identify and acess management; identifying areas where DHS can provide research and development support for systems; providing a unified state-level emergency management perspective; and to share information between partner agencies. For any questions on this initiative or Colorado's representation on the working group, contact Bill Miederhoff, the Division's Emergency Resource Mobilization Officer, at William.Miederhoff@cdps.state.co.us or at 303-239-5835. Also, if you are attending the 2010 Governor's Emergency Management Conference, be sure to stop by and check out Bill's presentation on State Resource Mobilization on Wednesday morning. Reference the 2010 Governor's Emergency Management Conference Agenda for more information. Always on the leading edge of information coordination and provision, our partners at the Colorado Department of Transportation have launched another coordination tool that expands the update options users have regarding road conditions around Colorado. If you live or travel around Colorado, you are probably already familiar with their easy-to-use site at COTRIP - http://www.cotrip.org/ - or their beta info site at ColoradoDOT - http://www.coloradodot.info/. Now, on the ColoradoDOT site, you can also sign up for mobile alert or email updates. If you go to the http://www.coloradodot.info/ site and click on the top right-hand side phone icon, you will be taken to the registration page. Of course, to stay up with the latest developments, too, check out the Department of Transportation's Twitter Feed at http://www.twitter.com/coloradodot and you can see PSAs and inside views of CDOT operations on their YouTube site at http://www.youtube.com/cdotmedia. So check out what CDOT is doing online. They have some really creative and innovative efforts underway to keep us informed and safe. Jim Lancy over at the Colorado Emergency Management Association requested help asking EMERGENCY MANAGERS to complete an International Association of Emergency Managers EMPG Survey being conducted to assess the impact of Emergency Management Performance Grants (EMPG). This is an important survey about the grant, and given that Colorado was #4 in responses last year and that Colorado received $4.8 m in 2009 EMPG funds to support local and State government emergency management efforts, it is something that your input can provide substantive insights on. So, if you are an EMERGENCY MANAGER, visit the International Association of Emergency Managers EMPG Survey site and pitch in! 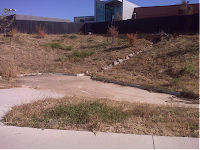 I understand the survey anticipated completion date is March 3, 2010 and that the survey organizers urge you to include specific information on what you have been able to accomplish because of EMPG funding. For any questions on the survey, contact Jim Lancy. Short recap? Operationally, it was a light year compared with past years where tornados, major winter storms and wildfires generated much response activity. In 2009, the primary state-level responses were triggered by the Front Range Spring Blizzards and in support provided to our partners at the Colorado Department of Public Health and Environment for both the Spring and Fall 2009 H1N1 Influenza Outbreak. That said, because response activities garner the most attention, it is easy to overlook that the overwhelming majority of the Division's efforts are applied towards technical and grant administration assistance for preparation and mitigation projects against known hazards at the State and local level. In fact, while the State of Colorado provided the Division with $1,080,692 in total funding for 2009, the Division administered an additional $32,874,591 in Federal funds to support State and local emergency preparedness, mitigation and recovery efforts under several Federal grants, including the Emergency Management Performance Grant (EMPG) and the Pre-Disaster Hazard Mitigation (PDM) Grant programs. Take a peek inside the report for more! For any questions regarding the report, feel free to contact me at brandon.williams@state.co.us or at (303) 472-4087. The Division is hosting a Multi-Hazard Emergency Planning for Schools (G-362) course on April 12-13, 2010 at East High School, 9 MacNeil Road, Pueblo, CO 81001. The course is designed to help participants recognize the need to plan for all types of disaster. Since planning is a process, planning is included in every unit and activity. Participants completing the course will be able to explain the importance of a school safety program to others and to lead individuals in their schools and community through the process of developing an effective multi-hazard program. The target audience for this course is anyone responsible for any aspect of developing, implementing, evaluating or administering a safety program for his or her school or school district. The following audiences are appropriate for and will benefit from this training course: principals and administrators, teachers, parents/PTA members, school board members, district executives, community first responders and school support staff. This morning, the Division's Mitigation Office hosted a multi-agency meeting to kick-off the massive coordination project involved in updating the State's Hazard Mitigation Plan. The current version of the State's plan is the 2008 Colorado Hazard Mitigation Plan. These plans are updated every couple of years. 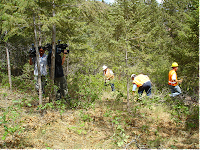 In short, they cover the breadth of known hazards present in Colorado for which the State prepares for - including from a mitigation, preparedness and response and recovery perspective. Droughts, floods, earthquakes, landslides, wildfires and winter storms each comprise a special, targeted component of the overall Colorado plan. Representatives from various State, Federal and non-governmental agencies sit on the Hazard Mitigation committee (see slide 3 in the kickoff meeting presentation below). In Colorado, each local jurisdiction maintains its own Local Pre-Disaster Hazard Mitigation Plans, which are individually authorized by the Federal Emergency Management Agency but for which the State serves as the coordinator for submission and approval. In any event, this was my first Hazard Mitigation Plan meeting and, after speaking with our mitigation office, got the OK to post the kick-off meeting slides to share. The effort is remarkable in its scope, from hazard identification, to risk assessment and estimation of potential loss, to the coordination with local mitigation planning efforts to ensure the State plan is consistent and complimentary to local efforts. This year, the push is to break new ground in integrating the disparate and varied preparedness and recovery planning efforts being maintained individually by State agencies and entities into a common risk assessment. In short, these agencies are collaborating to make sure the math used in efforts like disaster assessment and organization are using common a common language and calculation. Furthermore, the plan will shift from a periodically updated plan to more of a "living document" with an online committee collaboration effort here and on the Division website to support exchange of documents and forms used in preparedness and recovery actions by committee members and agencies. It should be a busy and interesting year. So, after a lot of hard work and coordination by our Emergency Management Conference Committee, the agenda has been finalized for next week's conference to be held at the Cheyenne Mountain Conference Center in Colorado Springs being hosted jointly by the Division and the Colorado Emergency Management Association. While I have posted the agenda below, we have also created a site - http://coemcon.blogspot.com - specifically for the upcoming conference. The agenda reviews the three days of presentations, with the first day being an Advanced Emergency Manager Workshop followed by the two-day conference. On the COEMCON site, you can find in-depth bios and info about the speakers and, as we move through this week and into the conference, many conference materials including handouts, slides, pictures and more will also be posted. It is a start... and it will grow from here. Check back as we add updates, pics/video and to see what your colleagues are posting. These feeds will be maintained during the conference to get you the latest info regarding presentations, events, activities and to share info between participants. If you have questions, comments or your own additions to the conference, post them on your feed using the #coemcon. Now, if you have questions about what any of that sentence means, be sure to stop by my presentations on Social Media as a Force Multiplier for emergency management and I'll see if I can explain it, answer your questions or work with you to find an answer! If you can't make the presentations, give me a call at (303) 472-4087 or shoot me an email at brandon.williams@state.co.us and I would be happy to talk with you. For specific information regarding conference registration, contact Cindy Vonfeldt at cindy.vonfeldt@state.co.us or visit the conference registration page on the CEMA site. So, check the COEMCON site out and we'll see you at the conference! During emergencies, exercises, trainings and joint efforts to help make Colorado safer, the Colorado National Guard is a great partner agency and a great group of dedicated professionals. 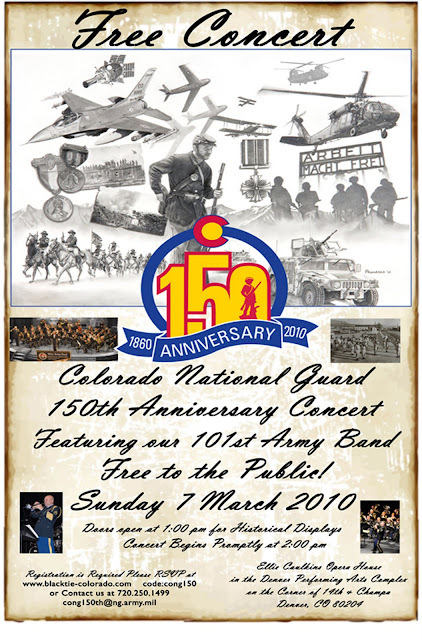 As such, given they are having an important anniversary celebration - 150 years - we wanted to pass the info along for their Anniversary Concert so that you can join in celebrating and thanking the men and women, past and present, who have served in the Colorado National Guard. We are looking to hire a Team Supervisor for DEM's Mitigation Office, located in Centennial, CO in the Denver Metro Area. From the announcement: The Mitigation Team Supervisor supervises the State's hazard mitigation planning team, which consists of three positions with analysis, assessment, planning and grant administration duties. The position performs research and develops draft technical and risk assessment documents and benefit/cost analysis methodology papers. The team supervisor will also create maps and use GIS software and other tools, including statistical analysis and probability tools to determine risks, probability of occurrence, depict project locations, determine lat/long coordinates, etc. Ok... now... technical descriptions of duties aside, the mitigation office manages projects that make a real difference in enhancing safety for Colorado residents, local governments, and businesses. Most importantly, the position in our mitigation office joins and leads a very cool group of dedicated people. When we think of emergency management, we have a tendency to focus on the initial point when damage is caused, such as in a tornado, a flood or a wildfire and the push and the flurry of activities by emergency responders. The truth, though, that mitigation is - and should be - at the core of emergency management efforts. Preparedness, mitigation, these are the efforts that have the largest impact on keeping emergencies from being the worst-case scenario. We must be able to respond, of course, to emergencies but in many instances the adverse impact of those emergencies on life and property can be mitigated. This is an area where your efforts can have a direct impact on improving our quality of life. The State's mitigation office does this by providing project input, guidance, and coordinating grant activities to accomplish specific projects with local governments and entities designed to lessen the threat posed to communities by known hazards. 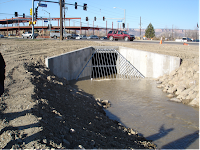 From wildfire mitigation and improving wildland urban interface areas in our communities to water detention and channeling projects to guard against flooding, the Division's mitigation projects are real, tangible and the core of making our communities safer. If you have any questions, contact Susie Esparza in our HR office at susie.esparza@state.co.us or at (303) 866-5884. Got a head's up on some interesting training coming up on April, 1, 2010 in Rifle, CO, at the Colorado Mountain College campus. The workshop is a one-day activity that addresses oil and gas facilities and other infrastructure sites that have additional safety concerns to consider and be aware of when responding. Industry representatives will be on hand to provide information and materials alongside wildland fire operations personnel, who will be conducing sand table exercises and scenarios. So, we are working through a rework of the Division's Emergency Management Guide for Local Officials, previously called the "Colorado Disaster Emergency Procedures Handbook for Local Governments" (see pdf below). Most of the rewrite is to reorganize and streamline the document to make it more user-friendly and manage contact updates, style changes, and minor tweaks to text. We are looking to add a few new sections and to make the document more of a "guide" for local officials. For example, we will be including a breakout explanation of the Emergency Support Functions (ESF) within an Emergency Operations Center (EOC). We are also looking to add a better flow diagram/explanation of the disaster declaration process, local government responsibilities and the state declaration process. So, while we have ideas of changes we would like to make, we wanted to re-circulate the current version and see what information you might want to include so take a look, grab your red pen(s) and pitch in! You can either use the comment section on this post or send an email directly to Rose Lynch (rose.lynch@state.co.us) or Brandon Williams (brandon.williams@state.co.us) here at DEM. Look forward to any comments you might have! Chris Sorensen, Emergency Manager with the Kiowa County Division of Emergency Management, gave me a head's up on his recent use of Skype to provide storm updates in a live feed with ABC 13 KRDO (click on the video to watch). Now, armed with a laptop mic/cam, wireless connection and some initiative, these new tools, such as Skype can enhance emergency management responder's ability to operate and communicate from the office and field. More importantly, these tools are exponentially enhancing single-resource public information officers and emergency managers to communicate -- a game changer during these resource-lean times. So, check it out. KRDO's and Chris's efforts provide a great example of using cost-effective tools, such as Skype - which supports free video/audio connections between Skype users, to help augment a community's emergency management communication efforts. Very cool and certainly worth considering securing this capability for your organization, even if just for a rainy (or snowy...) day need. Like any tool, of course, the goal is to balance the tools utility against its cost-effectiveness and effort of integration against the ability to amplify your message to your audience. For more, be sure to follow both @kcdem and KRDO Stormtracker_13 on Twitter. While this is still a work in progress, we wanted to share our growing .xml file of RSS subscriptions for Colorado-based information. If you use Google Reader (or another RSS feed reader), you will just need to save the Colorado Info RSS xml document and import it to your reader. This list contains 90 subscriptions. If you want to select specific ones for your area instead of the bulk import for all Colorado feeds, below are the links to the individual RSS feed urls. We went through the lists we have here and have tried to capture every feed we could find. No doubt, we probably missed some but we are making a shot at building a comprehensive list... and we could use your help. So, if you know of a feed not on this list that should be - just shoot me an email to brandon.williams@state.co.us. Also, if you would like to follow a consolidated Twitter list of alll known Colorado media, Colorado emergency services or Colorado local government entities (and our national partners) just go to our COEmergency page and click on the lists on the right hand side. On March 9, 2010, DEM is sponsoring a Flood Fight Operations (FEMA G-361) course in Alamosa, CO. This one day workshop is intended to provide general information on floods, provide preparation strategies, mitigating solutions, evaluation of threats and recovery options post-flood. The class is being hosted by the Alamosa County Service Center at 8900 Independence Way, Alamosa, CO 81101. Lodging can be arranged for participants traveling over 50 miles. Participants can register online using the DEM Training 75-5 EZ Form. The course is first come, first served. For any questions regarding this or other DEM-sponsored emergency management trainings, contact Robyn Knappe, DEM's Training Officer at (720) 852-6617 or via email at robyn.knappe@state.co.us. The half-day workshop is intended for new personnel or as a refresher for those who might be involved or perform a damage assessment after a disaster. 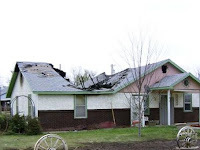 Damage assessment is a very important task immediately following a disaster to size up the impact(s) of the damage. The course will be held in the Southwest Weld County Services Building in Longmont, CO. If you are interested to register, complete the DEM Training 75-5 EZ Form. The class is first come, first served. For more information on this class or other Division-sponsored training activities, contact the Division's Training Officer, Robyn Knappe at (720) 852-6617. Jeff Brislawn asked me to pass on the following emergency management position announcement for AMEC's Lakewood Office. AMEC Earth and Environmental’s Hazard Mitigation and Emergency Management (HM&EM) program in Lakewood, Colorado, is looking to hire a full-time research assistant/junior planner to assist with projects including hazard mitigation plans, energy assurance plans, emergency operations plans, and exercises. HM&EM helps communities across the country mitigate, prepare for, respond to, and recover from natural and manmade disasters. Just a note that the Department of Homeland Security's Federal Emergency Management Agency (FEMA) is looking for emergency management professionals who are interested in serving on its National Advisory Council (NAC) for a term of three years. According to the FEMA National Advisory Council Press Release, the agency is searching for professionals in: Emergency Management, Public Health, Emergency Medical Provider, Standard Settings, Disability, Access and Functional Needs, State Non-Elected Official and Tribal Non-Elected Official. Council members meet quarterly to discuss, deliberate, and make recommendations on FEMA plans and strategies. For detailed information on how to apply visit: http://www.fema.gov/about/nac/. After talking with Damian McLoughlin, our DEM Information Services Manager, I wanted to share the text below re: DRAFT Social Media Guide. Like all organizations, we are seeking that right balance between the best use of these new tools and how to appropriately integrate their reality into our operations in a safe, secure and common sense manner that supports our communications efforts. From a public information officer perspective, I find social media increasingly essential for both communicating and as a force multiplier for gaining and spreading situational awareness. For us, the unique gap these efforts fill is sharing information directly, in a wide manner, and in a less formal path than a traditional press release or through reliance on third parties to distro. Thinking about it, I'll cut this line of thought short since I am by no means the first, most qualified or sole source to hammer away on the need and utility of social media. There are so many other people out there who articulate its need and attributes better than I can. Simply put, these tools are a reality and we are trying to use them in a smart and appropriate manner. In integrating new web-based applications and pathways, we are hesitant to fall into a "shiny new object" syndrome and are mindful to ensure that we select message pathways appropriate for our message, our audience(s), etc. We have not found the perfect answer, but we have made and effort to confront associated challenges, from an emergency management perspective. We approached social media as a joint effort between our public information office, operations and information technology staff. We are lucky to work closely together to find solutions that strike a balance between technical and individual use concerns. While I have worked to research and draft social media policies that address information flow, handling, and theory of use in a general social media standard operating procedures document to which individual sites are/will be addressed in annexes (...thought is that it is more important to capture "concepts" of use than bank all use on an individual social media tool as new ones spring up, fall away or as their use vacillates), we have worked closely with our IT to develop a DRAFT standard use policy to ensure it is consistent both with our web-use policy and addresses individual use and business case procedures. I am happy to share any of the drafts with you or to discuss how we, at least, approach the use/integration of social media into our operations. We have even spent time thinking about how it might be integrated into operational response to bridge some of the issues related to the now, real-world co-location of information gathering, writing unit and dissemination unit actions addressed by the National Incident Management System (NIMS) and Incident Command System (ICS) structures... but I don't want to get too "weedsy" here. If you want to get copies of some of these docs, want to provide some input or would like to give an extra set of eyes on what we have in development from an emergency management perspective, just shoot me an email to brandon.williams@state.co.us and I would be happy to share, talk and listen. All this is leading up to sharing the top-level document (below) that Damian and IT have been working which I think is a clear, concise and solid approach to meeting the challenge of social media integration as a business case into emergency management in an IT-friendly manner. We thought you might find it interesting. Of course, I must caveat that this is a working document. It might change. But, I think it is a really solid start for a common sense approach and if you have any input or thoughts, again, just contact me! This document outlines the guidelines for access to Social Media Internet sites. Social media sites are currently blocked from access by the Department's Internet filtering rules. Access is granted on a business case need as outlined in the process below. These guidelines are a detailed extrapolation of the Department's Systems Access and Acceptable Use, of the Department's Cyber Security Policies (ref). Where no specific policy or guideline exists, employees are governed by the Department's Acceptable Use Guidelines and should take the most prudent action possible. Consult with your manager or supervisor if you are uncertain. The use of Social Media sites (Twitter, Facebook, MySpace, etc…) for communication with the public and other agencies must be done in an ethical and responsible manner. The absence of, or lack of explicit reference to a specific site does not limit the extent of the application of this policy. Users will abide by the following rules of conduct. 1. All interaction, correspondence, postings and communication with social media sites representing the Department must be conducted with professionalism and courtesy at all times. You are a representative of the department even if you are accessing the site from your own personal computer on your own time. Anything posted online is public information, conduct yourself with the understanding your supervisor, colleagues, general public and customers will read your comments. Do not post or link any materials that are defamatory, harassing or indecent. Do not promote personal (non-departmental) projects or endorse commercial brands. Misconduct or behavior deemed inappropriate may be grounds for personnel action. An agreement must be signed by all “owners” or creators of Department social media sites. This agreement must be in place prior to the creation of the site and submitted to and approved by OIS. The Department’s Public Information Officer must be notified when new content is posted on the site. Social Media sites are restricted by the Department's Internet filtering rules. Access is granted on the basis of a business case need. 1. Submit a written request to the Department's office of information services (OIS) for access to Social Media sites (email is sufficient). 1.1. Requests must be approved by your division director (an affirmative email from the director is sufficient). 1.2.1. What sites are being requested for access? 1.2.2. What is the purpose of access? Is it for reading content of others or posting content as a representative of the department? 1.2.3. Who will be the single point of contact (POC) or owner of the content? 3. Upon approval for access, the POC will be notified and an orientation / policy review will be conducted with OIS. An override account will be created for use by the POC. This account can be used by the POC at the internet filter block page to continue on, to what would normally be, blocked Social Media sites. 4. The POC will be required to sign this document as an acknowledgment of understanding of the governing policies and guidelines. Just a head's up on some emergency sheltering for companion animals training coming up, sponsored by American Humane. There will be two Colorado classes, one in Durango from February 27-28, 2010, and one in Castle Rock, March 13-14, 2010. The classes are designed to help students develop skills to plan for and implement emergency sheltering for companion animals during or after a disaster, whether at the local or national level. The Emergency Shelter for Companion Animals Course Announcement page indicates that the class is recommended for disaster response professionals, emergency medical services personnel, firefighters, animal shelter staff, animal control officers, vets, vet techs, animal handlers/trainers and Red Cross volunteers. Check the Emergency Shelter for Companion Animals Course Announcement for more info on the course and for links to the registration form.